With the PicsArt App (optimised for the GALAXY Note II), she can use the S Pen to add colour, tone down colour, and use the erase mode to remove parts of a filter. She can also use the S Pen button to switch between the applied effect and the original image. 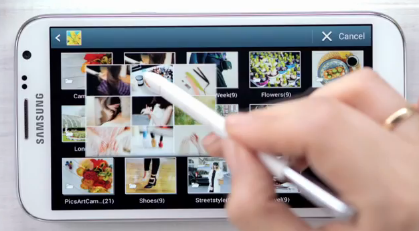 PicsArt for GALAXY Note II is available on the Google Play Store and Samsung Apps.